Plan your next night out with us! Your turn to put together a night out? Yes sitting at home sipping wine is a lovely time, but how much more fun would it be to get PAINT involved? 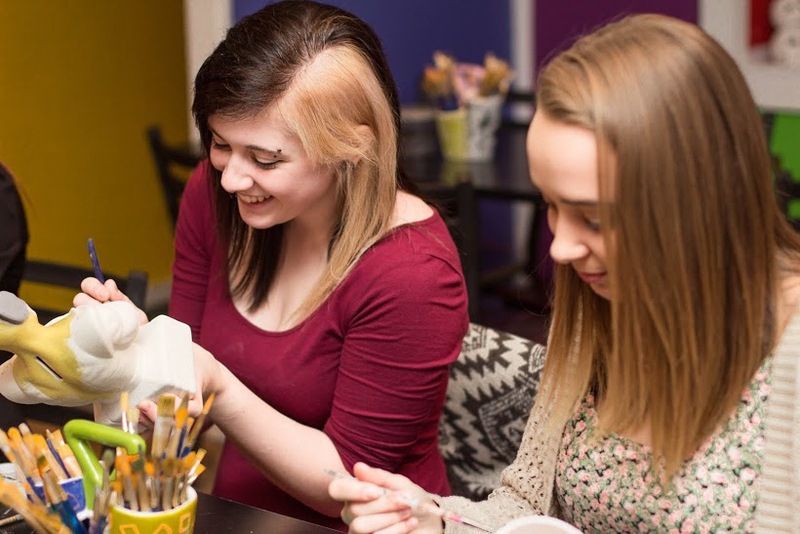 Bring the gang to Clay Cafe for a creative and new way to spend an evening out. Birthdays, anniversaries, girls night, team building, we do it all! Paint pottery, try our glass fusing (its easier than it sounds, we promise! ), paint a canvas or board art or maybe even make it a clay building or wheel party. No matter what you create, you and your friends will have a blast creating memories together! We can host an all ages event or a BYOB 19+ event! Just bring 8 or more of your friends and food, and let us do the rest. Book the private room FREE of charge during week nights, or $25-50 on weekends! Prices depend on the activity (usually $20-$50 per person). To book your next event now, get in touch with us! clay cafe makes for a pretty great date night, too!